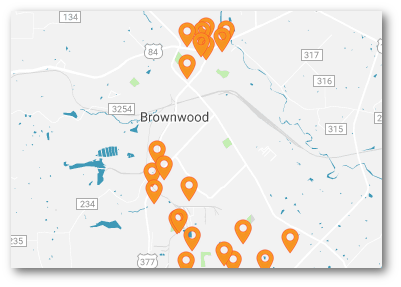 The purpose of the Building Improvement Incentive Program is to provide an incentive to business and/or property owners to encourage renovation and rehabilitation of commercial buildings in the City of Brownwood. Funding for the program is provided by the Brownwood Municipal Development District (BMDD). This program aims to improve the aesthetics within the City of Brownwood since attractive and updated commercial buildings positively impact the marketability and perception of the city. Thus, the Building Improvement Program consists of a match of up to $20,000.00 for approved improvements. Incentives will be awarded for commercial building improvements that restore, rehabilitate, enhance or beautify a structure. The program does not include residential housing of any kind whether owned or rented. The program will be administered by the Brownwood BMDD. An application form is to be submitted with a description of the work to be completed. Applications will be reviewed by the BMDD Board of Directors. Funding of projects is totally at the discretion of the BMDD Board of Directors. Revitalize and improve the appearance of Brownwood commercial buildings to positively impact the aesthetics, marketability, and perception of the City of Brownwood while revitalizing downtown and major thoroughfares.